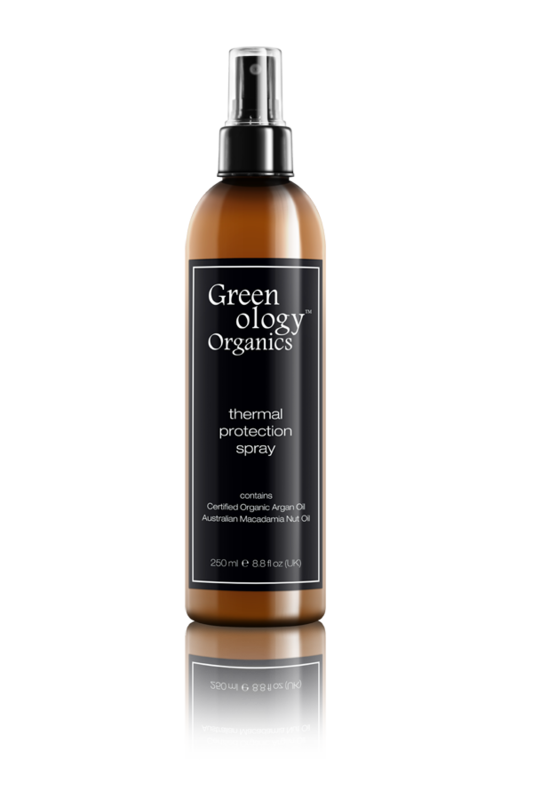 GREENOLOGY ORGANICS THERMAL PROTECTOR 250ML – HAIRDEPOT - Hair & Scalp Care Products, Prevent Hair Loss, Shampoo, Conditioner, Treatment, Styling, Appliances and more! Thermal protection spray contains a unique combination of moisturizer & protecting agent that specially formulated to work with heat appliances. Thermal protection spray provides unlimited volume, movement & styling options and excellent with parabens-free, sulfates-free. It is a lightweight mist that glides through the hair safeguarding against heat damage caused by blow-drying, flat & curl ironing, for use with hot rollers or other heat appliances.